The Story is simple. Death is the end for anyone who breaks the law. No amount of good behaviour after the infraction can erase the infraction. No amount of trying to massage the law into something else will work either. Murder is murder. Hate is murder. Lust is adultery. Only purity is pure. The thought life must be as holy as our behaviour. Anything less than perfect holiness is sin and the wages of sin is death. Jesus did not come to this world to condemn us for our sins. We were condemned already. The path was set. The damage was done. Jesus was on a rescue mission. He came to seek and save the lost. He came to give life to us, the walking dead. He accomplished this by living a holy life and then dying in our place. He is the Lamb of God that takes away the sin of the whole world. Paul stands before these Jews in this synagogue far from Jerusalem and explains that the message of Jesus is a message of forgiveness freely offered to all who believe. Believe. It's one word yet on it hinges life and death. Religion would have us believe that life and death hinges on behaviour but it's too late for good behaviour as a means to save ourselves. The damage is done. We needed a hero and One came. He came because God so loved the world that He gave us His only Son that whosoever believes in Him will not perish but have everlasting life. Not one person will be lost because they were too bad to save. There is only one way to be lost and that is to reject the rescue mission of Jesus accomplished for us all nearly 2000 years ago. 13:16 Then Paul stood up, and motioning with his hand said, “Men of Israel, and you who fear God, listen: 17 The God of this people Israel chose our fathers, and exalted the people when they dwelt as strangers in the land of Egypt, and with an uplifted arm He brought them out of it. 18 Now for a time of about forty years He put up with their ways in the wilderness. 19 And when He had destroyed seven nations in the land of Canaan, He distributed their land to them by allotment. Picture the scene. A group of Jewish worshippers who come weekly to this synagogue. They all know each other. They are comfortable. There is a rhythm to their lives and deep rooted confidence in who they are and what they believe. Into this scene steps Paul and Barnabas. They are new in town. From what I understand it was common practice to offer visitors an opportunity to address the congregation if they had something to share. Whether that is true or not on that particular day they were given the floor. I want you to note what Paul did. He started on solid ground. He started with a foundation they all shared. He started with what they all had in common. He kept building on that foundation as he moved through the history of the nation of Israel. Step by step he reminded them of their faith journey. By the time he got to Jesus the chain of events and Scriptures used to support what he was saying we're all familiar to them. In simple terms he met them on their ground. Not only was he willing to literally meet them on their turf by going to their synagogue, he also met them where they were in their beliefs. When that common ground was firmly established and affirmed, then and only then did he introduce Jesus. We don't often share Jesus with Jews or visit synagogues but the principles remain the same. Go to people where they are. Meet them in their comfort zone. Know them. Be familiar with their beliefs. Respect those beliefs. Use those values and perspectives you have in common to build a common ground. Speak their language. Once that rapport is built introduce them to the One who has the best values. Open up to them their world from His perspective. Meeting people where they are is what Jesus did. We can afford to do no less if we are His followers. Acts Day 143 - What Might it Mean to Go? This Antioch is not to be confused with the previous Antioch where believers were first called Christians and where Paul and Barnabas were sent from after praying and fasting and seeking the Lord's direction. This is a different city entirely and quite a bit smaller. You will note that on the way there John Mark goes home. We are not told why. What we are told is that when Paul and Barnabas arrive they go to the synagogue. This point is becoming a theme. Synagogues are the equivalent of churches today in our culture. It was the place where Jews gathered for weekly worship. Paul and Barnabas are Christians. Why are they going into Jewish churches? Is there a lesson here for us? Not only do they go to the Synagogue to worship but they are asked to speak. Why? I know many people in my church who firmly believe we should never enter even a Christian church of another denomination. I know a church that nearly split and a pastor who was run out of town for even suggesting a pastor from another church be invited to speak in his church about how they could work together in supporting the food bank and the poor in the city. Meetings were held. Tempers flared. Some members vowed to never return to church if the plans to have this "gentile preacher" went ahead. Yet in the Book we call the Holy Bible, Paul and Barnabas purposely and deliberately went to worship in the synagogue, a place that supported the idea Jesus was not even the Messiah, a place that belonged to the religious system that hunted and killed Christians! Are Paul and Barnabas heretics? Are they playing both sides? Are they fakes? What is going on? Do you remember what Jesus said to His disciples before He returned to heaven? He said "Go!". Go where? Into the whole world. The entire world. All of it. He also said crazy things like "love your enemies". The reason why Paul and Barnabas went to the synagogues was simple. They were going into all the world. They were placing themselves in a position to be able to connect with those who didn't yet know Jesus. By being willing to go, they were asked to speak. God was working because they were willing. Were they asked to speak because their reputation had preceded them? Maybe. We're they asked to speak because the worship leader just felt impressed to ask these visitors what they had to say? Perhaps. We aren't told why it happened. We are just told that it did happen and it could not have happened if they hadn't been there. 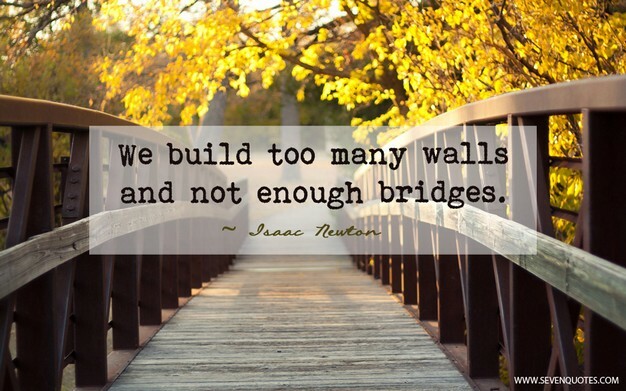 Are we contributing to building walls or bridges? Are we emphasizing what makes us different and building bunkers to keep ourselves untainted or are we seeking out what we have in common and reaching out to bridge the gap? We can call ourselves Christians. We can call ourselves followers of Jesus. We can even call ourselves "The remnant". I could call myself an elephant too I suppose but would that make me one? When was the last time we left our turf, our comfort zone, our box, and went to seek out someone in a different box? Perhaps if we "christians" had been as passionate about going as Paul and Barnabas were the Muslim world would be more open to us than they currently are. Perhaps China would be a different place. Perhaps North Korea too. Perhaps our "own people" would be far less selfish than we have become and far more fervent and recognizable as followers of Jesus. Is there a church close to your home? A mosque? A place where people gather to seek a better understanding of their Creator? Perhaps you should drop by. I plan to start "Going" more often. Will you join me? Will you follow the example of Jesus and His true followers? Acts Day 142 - A "son of Jesus"
This is one of those stories that shows me how far from Jesus I am and how much boldness I lack. The name Bar-Jesus means 'son of Jesus'. He was a Jew yet a sorcerer. He was in appearance a follower of God yet a follower of Satan. Behind the feigned interest in the gospel he was really a son of the devil. Paul and Barnabas were new to this place and to him. It would be similar to the times I have come to a new place. I meet new people. I meet my church members. In name they are all sons and daughters of Jesus and present that they have an interest in the gospel. As time goes on some of them begin to work against me and against the gospel. They display their true colours. They are sons of Satan rather than sons of Jesus. As I work to bring others to Jesus they work to take them away. It's literally a war. However the bad part is not that this reality exists. The bad part is I am not close enough to Jesus to handle it as I should. I lack holy boldness. I lack Divine wisdom. I lack the connection that would allow me to let Jesus handle the situation leaving no doubt in anyone's mind that He is the King of kings. Why do I lack this closeness and boldness and connection with Jesus? Because Paul and Barnabas were men of prayer who fasted for direction. They sought Him daily. They knew their need of Him. "Father make me like Paul and Barnabas so I can be bold for you and bring glory to Your Name." 13:4 So, being sent out by the Holy Spirit, they went down to Seleucia, and from there they sailed to Cyprus. 5 And when they arrived in Salamis, they preached the word of God in the synagogues of the Jews. They also had John as their assistant. This John who came with them as a helper is John Mark, the same one who has been mentioned several times now. He is a young man. Is this significant? Apparently so because if it wasn't we wouldn't know about him. It's significant because it shows they (Barnabas and Saul) valued young people and deliberately involved them. This past week the pastors and leaders have been discussing and sharing different ideas for how we are keeping young people in church. The one obvious way is to get them involved, to transition them from spectators to active participants. Jesus modeled this by having disciples who were young. The "other John" who wrote the gospel of John and 1, 2, 3 John and Revelation lived until at least 95 A.D. so you can do the math and imagine how young he was when he was traveling with Jesus who was crucified in 31 A.D.
Whoever you are and wherever you are, value your young people. Bring them along side you in whatever God has called you to do. Look for the natural gifts God has given them and help them develop those gifts by giving them real opportunities to serve. Be ok with the mistakes they may make. Encourage the positives you see in them. Help them dream bigger. Pray for them and with them. The founders of the Seventh-day Adventist Church were in their late teens. We are told that young people and children are going to play key roles as the events of earth's history wrap up. They will need us to guide and train them. They will need to see Jesus in us. They will need role models. Only as we fast and pray and follow God's lead ourselves can we hope to have any kind of positive influence on our young people. Children were drawn to Jesus and just yesterday I overheard someone say about someone else "He's a great guy. You can tell because the children love him." Ask God to send you a John Mark. Both he and you will grow and benefit as a result. 13:1 Now in the church that was at Antioch there were certain prophets and teachers: Barnabas, Simeon who was called Niger, Lucius of Cyrene, Manaen who had been brought up with Herod the tetrarch, and Saul. 2 As they ministered to the Lord and fasted, the Holy Spirit said, “Now separate to Me Barnabas and Saul for the work to which I have called them.” 3 Then, having fasted and prayed, and laid hands on them, they sent them away. Five men were leading the church in Antioch. These five men were no ordinary men. Ordinary men make their own plans and then ask God to bless those plans. These men were not like that. They saw God as their leader, not their assistant. They fasted. People who fast are either trying to prove their own "holiness" or are keenly aware they have none. These men are humble. They are doing everything they know to do. They are "ministering before the Lord" but at the same time fasting to seek Him more deeply to make sure they are in tune with what He wants. When Jesus was here His critics came to Him one day and said "Why don't your disciples fast?" Jesus' response was quick and firm. "Why would they fast when I am with them? The time will come when I am not with them. Then they will fast." Fasting has a purpose. It is a seeking after God. When Daniel couldn't understand the message God was trying to convey he fasted. Fasting is not a religious exercise to prove how "holy" we are. It is a literal act that symbolizes an emptying of ourselves to make room for Him. Here is what's amazing about this insight into what the leadership were doing in Antioch. There was no crisis. They weren't fasting to solve a "riddle" like Daniel was. They weren't fasting to seek an answer to any specific needs or problems even though that would have been perfectly healthy and good. They were just fasting to ensure they were in tune with the will of God. As a result God by His Spirit instructed them to send Barnabas and Saul off in a new direction. Imagine how painful those instructions must have been. It's not easy to leave when you love your church. It leaves a void in the Body and an ache in the heart. Notice that after the instruction came they continued to fast and pray to be certain the Word came from Him. Then the Bible tells us they laid hands on them and sent them away. Last summer my church wrestled with the question of ordaining women. What they should have wrestled with was the approach we are taking to ordination in general. The laying on of hands is a theme that runs through the new testament. However there is a huge disconnect between why they did it and what we do. They laid hands on people when they were being given a specific task. We lay hands on people to give them a title. Theirs was for a function. Ours is for a position. Truthfully these few verses make me sad. They underscore a huge disconnect in the Body of Christ today. We are self sufficient. We don't seek His leading, we do our own thing and seek His blessing and approval. Rarely do we speak of fasting because we feel no deep need of His leading. As a result we largely tread water, have little impact, and are so accustomed to it that we think it's normal. "Father do whatever it takes to wake up your church and see our need of You as our leader." 12:25 And Barnabas and Saul returned from Jerusalem when they had fulfilled their ministry, and they also took with them John whose surname was Mark. Last time we saw Barnabas and Saul they were in Antioch. We were never told they came to Jerusalem or why but now we're being told they are returning to Antioch with John Mark. We can guess they came for the funeral of James or to join in prayer with the believers there when Peter was arrested. We know the group was praying at the home of John Mark's mother. We know they are returning now that their ministry is fulfilled. If we connect the dots it seems likely they came at the very least to mourn with the believers and pray for Peter. If that is the case it's even more remarkable that they didn't believe Rhoda when she told them he was at the gate. However there is a much more practical lesson in this last verse of Acts 12. The truth is we don't know for certain what brought Barnabas and Saul to Jerusalem. We don't know because we aren't told. There are many more things we aren't told than we often stop to think about. For instance the death of James is the first mention of him since Pentecost. What has he been doing? There were 12 disciples again after they replaced Judas with Matthias but we only have one story about Philip and the Ethiopian. Where did the rest of them go and what did they do? Again we are not told. Like the rest of the Bible we are only given snap shots of a few events written down to give us a glimpse into what happened. More than that, what has been written is for us. It was written to reveal God and His ongoing interaction with His children. It was all written to reveal Him. Anything we weren't told was unnecessary for us. What we need to remember from chapter 12 is that Peter went into hiding and Saul and Barnabas went back to work. The continuing of the story will reveal why that is significant. In conclusion don't worry about what we are not told. Pray and think about what has been left for us to study. 12:20 Now Herod had been very angry with the people of Tyre and Sidon; but they came to him with one accord, and having made Blastus the king’s personal aide their friend, they asked for peace, because their country was supplied with food by the king’s country. Acts 12 ends with sharp irony. It began with James the follower of Jesus being killed by Herod the king and defender of the Jews. As wrong as it was for James to be executed the chain of events makes sense from a human/political point of view. However the chapter ends with the death of Herod, not at the hands of Christians, but a victim of his own pride. Tyre and Sidon were west and north of Galilee. Jesus had visited the region and performed miracles of healing there even though it was considered a vile hopeless place even by His own disciples at the time. These twin cities were weak at this point in history and economically dependent on Herod. For some reason he was angry at them which made them vulnerable to what we would call today economic sanction. Recognizing their fragile position they won the favour of Herod's right hand man and gained an audience with the king. All of this is normal political maneuvering. They used the meeting to stroke Herod's ego and seek peace. He in response gave a speech. We are not told what he said but the delegation from Tyre and Sidon used the moment to heap praise on him, even calling his voice the voice of a god. We need to understand that for the delegation from Tyre and Sidon and for many of the people groups outside Judea this was perfectly normal. Kings and Caesars etc... we're often considered gods. However Herod was king of the Jews. He had just had James executed for preaching about a man (Jesus) who claimed to be God. Now here he is permitting foreigners to stand in his court and call him a god. This one chapter is a microcosm of human history. Herod like Satan pretends to be something he is not, is an enemy of God's true followers but in the end is done in by his own pride and self-serving behaviour. If we are experiencing injustice we must remember evil always comes full circle. If we are entrusted with a position of power like Herod was we must remember there is only one King. 12:18 Then, as soon as it was day, there was no small stir among the soldiers about what had become of Peter. 19 But when Herod had searched for him and not found him, he examined the guards and commanded that they should be put to death. I have been shaken since yesterday by the idea that Peter has lost his boldness. I did some research and found that Peter is mentioned by name 59 times in the book of Acts but only once after this incident. Does it mean he is a lost man? Not at all. We know from Acts 15 and the book of Galatians and the letters Peter wrote that he very much continued to serve God but he did change it seems. The unbridled boldness that refused to concede an inch to the threats of the enemies of Christ was altered by the death of James. When the angel set him free from Herod's prison he could have stayed in town. He could have preached publicly. They could have had no trouble finding him. Instead he went back to Caesarea, likely to Cornelius to seek refuge there. There is precedent for his retreat. Elijah hid from Ahab. Jesus Himself avoided Jerusalem at certain times. In both of those examples it was not fear that motivated them yet with Peter that element seems to be there. After more reflection and prayer for wisdom I have come to a new conclusion. The point isn't really so much that Peter lost his edge. The point is that God stayed with him. Late in his life here Elijah lost his edge. He was even suicidal yet God stayed with him. At the end God asked Elijah to do three simple things: anoint two kings and Elisha as his replacement. Elijah went straight to Elisha. He never did anoint the kings. He was spent. He was what we would call today burned out. God understood and rather than cast him aside He brought him Home in the most dramatic way ever seen. Peter is emotionally spent. It's bad enough to hear of the senseless and tragic deaths of strangers. James was Peter's friend. He and James and John were almost always with Jesus. I am certain Peter was wrestling with the same questions we wrestle with. Why? Why didn't Jesus do something? He healed the sick. He empowered them to heal the sick also. 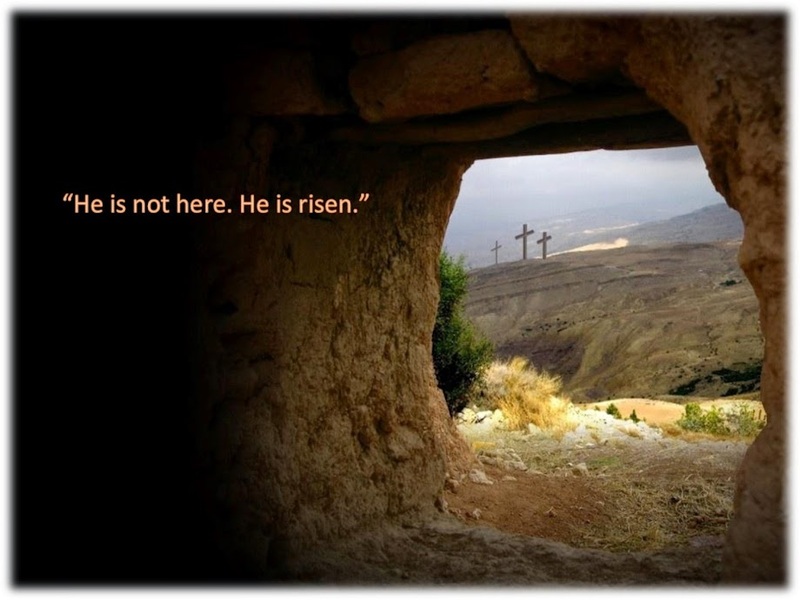 Jesus even raised the dead and empowered them to also. Why did he permit Herod, an evil man, to end the life of his friend so violently without an ounce of intervention? Until the dark battle between good and evil is over we'll always have these questions. They are questions that take the wind from our sails. We know when the battle is over that events like the death of James will be understood and that lives were saved and hearts changed as a result. In the meantime we wonder, grieve, and trust and God gives us the time and space to do it. He even walks with us when our sails are tattered and torn and we are not the man we used to be. In fact He walks even closer then. 12:9 So he went out and followed him, and did not know that what was done by the angel was real, but thought he was seeing a vision. 10 When they were past the first and the second guard posts, they came to the iron gate that leads to the city, which opened to them of its own accord; and they went out and went down one street, and immediately the angel departed from him. It's late at night or early in the morning. Perhaps they have been praying together since the day before or perhaps they have gathered under the cover of darkness out of fear of the authorities. Their time together is interrupted by knocking at the gate. Rhoda goes out to see who is there. This is curious to me. Should she be alone considering the time of night? At any rate she recognizes Peter and in her excitement goes back to tell the others leaving him outside the gate still. It reminds me of the woman at the well who when she realized who Jesus was ran back to the village leaving her water and forgetting the very reason she came to the well in the first place. It shows how excited Rhoda was. Her excitement is soon challenged. No one in the house believes her. Even after she insists they say it can't be. It must be his angel. Strange thing to say but history tells us that the Jews believed every person has a guardian angel, a truth Jesus affirmed. They also believed that when one of these angels took on human form it was the likeness of the person they guarded. The Bible does not affirm this belief. However the strange part in all this is not their beliefs about angels. The strange part is that they have been praying constantly for Peter yet when their prayers are answered they don't believe it. Have you ever prayed like that? Have you ever prayed expecting no answer? Have you ever prayed believing the answer was impossible? I don't like Acts 12. For me it is a sad chapter. It is a turning point. It seems to be the beginning of the end. James is murdered by Herod and it seems to have altered the early believers in a way that they never recovered from. When they finally go outside to see what Rhoda is talking about they find Peter. He comes in and hurriedly shares with them what happened and then he goes into hiding. This is Peter. The same Peter who would preach in the temple, get arrested, be told never to speak of Jesus again, get released and then go directly back to the temple until he was arrested again. This is the same Peter who lead the church in praying for boldness. The same Peter who wanted to walk on water and drew a sword in the garden of Gethsemane. Fearless Peter has become fearful. Bold Peter has become cautious. In your face Peter has gone into hiding. It seems the death of James has changed the church. The still pray but their expectations of an answer are lower. They still preach but not in the face of death. Acts is a humbling read. It illustrates how far from the bold, relentless, gates of hell destroying faith the Christian church has drifted. It shows what could be happening in the world if we were Spirit filled and faith filled. Yet even then the church was not perfect. Revelation describes the first era of Christianity as doing great things but losing her first love, that primal passion that throws caution to the wind. Peter for the first time since the cross takes the path of self-preservation. Many today applaud what he did as wise. We say he was street smart. We comfort ourselves that we need to choose our moments and battles wisely. What usually ends up happening is that we don't battle at all, especially when it matters most. We spend our passion preaching to the converted and say nothing to the world. It seems when James died the Church began to die also. Tragedy has a way of taking the good out of us but I have to wonder if it needs to. If God could unchain Peter from between two guards and walk him past two more sets of guards and out through the prison gates could He not continue to protect him from Herod without Peter having to hide? When I pray do I believe He can actually answer? Am I hiding for the sake of self-preservation? What Church do I belong to: the church of boldness or the church of fear? 12:5 Peter was therefore kept in prison, but constant prayer was offered to God for him by the church. 6 And when Herod was about to bring him out, that night Peter was sleeping, bound with two chains between two soldiers; and the guards before the door were keeping the prison. 7 Now behold, an angel of the Lord stood by him, and a light shone in the prison; and he struck Peter on the side and raised him up, saying, “Arise quickly!” And his chains fell off his hands. 8 Then the angel said to him, “Gird yourself and tie on your sandals”; and so he did. And he said to him, “Put on your garment and follow me.” 9 So he went out and followed him, and did not know that what was done by the angel was real, but thought he was seeing a vision. 10 When they were past the first and the second guard posts, they came to the iron gate that leads to the city, which opened to them of its own accord; and they went out and went down one street, and immediately the angel departed from him. James is dead. The first serious blow to the church since the death of Stephen. Things have been turbulent to say the least but on the whole improving. Saul turned from the hunter to the hunted and the church has been growing. Then suddenly almost out of nowhere Herod steps into the war against the Christians and immediately kills one of the top three. The popularity it buys him drives him to seek another target. It is fascinating to me that Peter, a fisherman, is chained between two guards and has two sets of guards at two different points outside his cell. Why the excessive show of force? Peter isn't Samson. The church has never shown itself militant in any way. What is Herod afraid of? Peter is in prison but... but the church is praying constantly. There is so much we don't know. Did they pray for James? Was he arrested and killed so quickly that there was no time? Why the delay in killing Peter? Was Herod planning to make a big display out of his execution in order to gain as much popularity as possible? Whatever the details were we know two things for certain. The church did not want Peter to die and they knew God was the only One who could save him so they prayed constantly. The church did not want him to die and they knew only God could save him so they prayed constantly. When Jesus was in the garden of Gethsemane facing the cross He asked His disciples to pray for Him. They didn't. Three times He asked. Three times they didn't. Why? Because they didn't care about Him? No. They didn't pray because they didn't believe He was really facing death and they believed whatever was about to happen they could handle. Prayer, true prayer, is what happens when we know someone is going to die if we don't pray and only God can save them. Are we praying or do we still believe we can handle things? Are we praying or do we not yet realize that the battle is not against flesh and blood? Are we praying constantly because we know only God can save those we love from the prison house of the Enemy or are we still thinking we can help? Jesus prayed every morning before doing anything. Are we less dependent on God than He was? Jesus knew His only hope and our only hope was believing in God. Do we know this? Peter was trapped and helpless. The church was free but helpless. They prayed constantly and the deliverance was so dramatic that Peter himself thought he was dreaming. If you love someone who is locked in the prison house of sin there is only One hope for them. Do you understand that? If you do, you are praying. If you aren't praying you are still thinking there is hope in some other source. 12:1 Now about that time Herod the king stretched out his hand to harass some from the church. 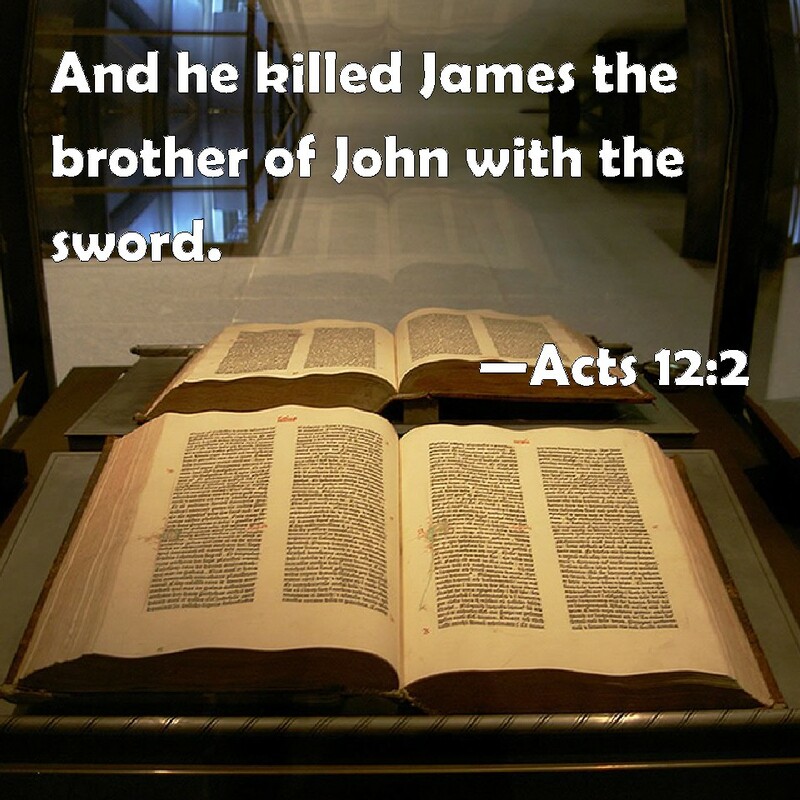 2 Then he killed James the brother of John with the sword. 3 And because he saw that it pleased the Jews, he proceeded further to seize Peter also. Now it was during the Days of Unleavened Bread. 4 So when he had arrested him, he put him in prison, and delivered him to four squads of soldiers to keep him, intending to bring him before the people after Passover. Power, popularity, prosperity, and pleasure - the four P's that drive our behaviours unless Jesus has our hearts. Herod has power, prosperity, and can afford any pleasures he wants. The only P he has left to pursue is popularity. When you serve the Romans and rule the Jews that's a tough P to acquire. His grandfather Herod the Great rebuilt their temple which certainly helped him. Now his grandson Herod (also known as Agrippa the great) sees a new opportunity to gain favour with the Jews. He joins them in their war against the Christians. His first target is no small one either. He has James killed with the sword. This is THE James. When Jesus had something important to do He often only took three of His disciples with Him: Peter, James, and John. Now James is dead. The people are ecstatic. From their perspective it was like eliminating one of the three musketeers. Herod likes the popularity it affords and quickly seizes the biggest target of all - Peter. Tomorrow we'll find out how that went. For today it's enough to consider what drives me. Do I, like Herod, make decisions and pursue goals based on the four P's? Do I help people because I care or because it gains me popularity? Do I work every day to be of service or is it just for the paycheck? Am I in a leadership position for the betterment of others or do I like the power? Am I developing the gifts and personalities of my children or using my position as their father to rule them for my own ego? What role does pleasure play in my life? In short is my life and all its components about me and my advancement or do I live for others? We can't escape nor should we try to escape the 4 P's. There is nothing wrong with any of them so long as we are not their slaves. Jesus has all power and authority. He uses it to serve. Jesus had times of great popularity but He never let it cloud His purpose or decisions. Jesus derived pleasure not from exploiting others or pursuing habits etc... His great pleasure was to get us back Home. Jesus created everything yet as a man on this earth owned nothing. He knew stuff is temporary but character is eternal and so He invested all His energies into drawing our hearts and developing our characters. It's too easy to complain about and criticize the Herods of this world. What about me? What would I be like if I sat in his position? "Father save me from myself and make me like You." 11:27 And in these days prophets came from Jerusalem to Antioch. 28 Then one of them, named Agabus, stood up and showed by the Spirit that there was going to be a great famine throughout all the world, which also happened in the days of Claudius Caesar. 29 Then the disciples, each according to his ability, determined to send relief to the brethren dwelling in Judea. 30 This they also did, and sent it to the elders by the hands of Barnabas and Saul. Acts is in a sense the painting of a picture. The painter is the Spirit of God. The portrait is the character of God. The canvas is His people. 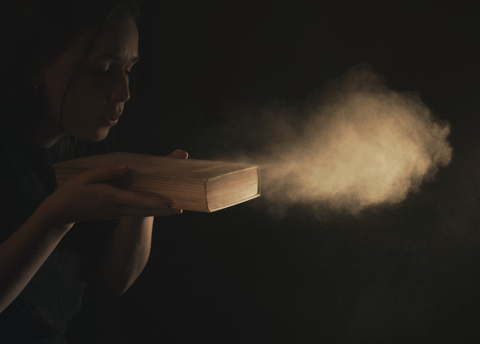 The book opens by painting the Spirit onto the canvas of His people. Added to the Spirit is boldness, a boldness rooted in love. A boldness that refuses to give up on others regardless of the personal cost. At first this loving boldness is restricted but the Spirit of God keeps painting. Added to boldness and love is the growing realization that no man is common or unclean. This realization was rooted in the seeds that Jesus planted. Prompted by His Spirit and clarified by visions they remembered that Jesus never played favourites. They remembered that He crossed borders and knocked down walls of prejudice and division. 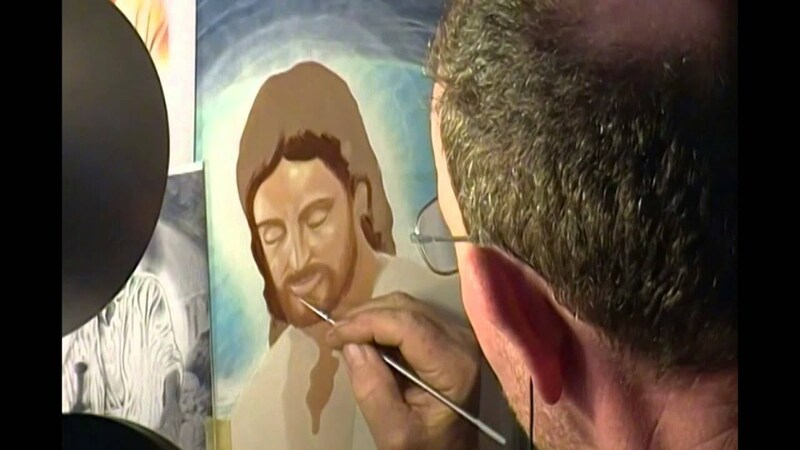 Suddenly the canvas reflected the impartiality of Jesus. Suddenly the message began spreading not only geographically but across cultures and colours and genders. Now the Spirit is again adding to the canvas in two ways. The gift of prophecy is growing in the church. It seems the wave began in Judea and they too are travelling out across the map. One of these who has the gift of hearing messages from God and sharing them with His people is Agabus. He has been given a specific message. A famine is coming that will impact the world. The response in Antioch is swift and amazing. Though affected by the famine themselves and historically victims of Jewish racism and prejudice they gather relief and send it with Saul and Barnabas to Judea. Not only is the church growing numerically and geographically, it is becoming more and more like Jesus. To Spirit filled, bold, and impartial is being added self-sacrificing generosity even for their "enemies". How we have fallen from grace. How desperately we need to be painted again. If I am learning anything from Acts it is that His people then had many issues as we do but they were growing to become more like Him while we seem to be shrinking and becoming less like Him. They began by waiting on Him. Perhaps we need to humbly wait on Him as well. 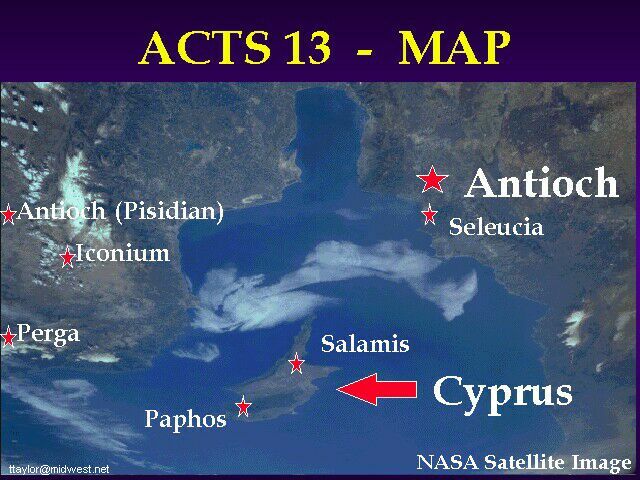 11:22 "Then news of these things came to the ears of the church in Jerusalem, and they sent out Barnabas to go as far as Antioch. 23 When he came and had seen the grace of God, he was glad, and encouraged them all that with purpose of heart they should continue with the Lord. 24 For he was a good man, full of the Holy Spirit and of faith. And a great many people were added to the Lord. 25 Then Barnabas departed for Tarsus to seek Saul. 26 And when he had found him, he brought him to Antioch. So it was that for a whole year they assembled with the church and taught a great many people. And the disciples were first called Christians in Antioch." Barnabas is not a popular figure. If he were a sports figure he would be that guy that every team wants yet is rarely or never in the spotlight. My mom loved Gaither videos. I think she bought every one they ever made. Bill Gaither is the most prolific Christian song writer of our time. However that is not his greatest gift. One of the members of his famous Gaither quartet said this about him "He spends all his time making everyone else look good." Gaither gathers talent from all over and creates these videos featuring everyone but himself. Barnabas was like Gaither. He had the gift of unifying people. He had the gift of seeing and developing the best in people. The church in Jerusalem sent him to Antioch because Greeks were becoming followers of Jesus and they knew it had the potentially to be messy, complicated, and problematic. They knew if anyone could smooth the waters and strengthen the situation it was Barnabas. He went. He served. He taught. He encouraged. Then he did something leaders rarely do. He recognized there was someone better for the job and he went recruiting. He traveled likely at his own expense the roughly 250km from Antioch to Tarsus and found Saul and brought him back to Antioch. Something special was happening in Antioch and Barnabas could have been tempted to "be the man" and take the glory and attention for himself but Barnabas was nothing like that. He saw gifts in Saul that were needed in Antioch and he went and found him. So mighty was the influence of Saul in Antioch that the city will forever be known as the first place that these new followers of Jesus were called Christians. In every church I have served there has always been at least one Barnabas. Men and women who get few if any applause. Men and women who aren't even recognized by many for the key role they play. Men and women who send their energies developing others and putting their gifts to use for God's glory. Every light that shines has a whole system connected to it that makes it possible. People like Barnabas may rarely make the headlines but there are no headlines without them. Barnabas must have been paying attention when Jesus highlighted the importance of being a servant to all. 11:19 Now those who were scattered after the persecution that arose over Stephen traveled as far as Phoenicia, Cyprus, and Antioch, preaching the word to no one but the Jews only. 20 But some of them were men from Cyprus and Cyrene, who, when they had come to Antioch, spoke to the Hellenists, preaching the Lord Jesus. 21 And the hand of the Lord was with them, and a great number believed and turned to the Lord. This is a batman story. If you are familiar with the old batman comic you know that it often told you what was happening in one place and then would say "meanwhile..." and would tell you what was happening in another place at the exact same time. That is exactly what is happening here. While Peter is in Caesarea other believers are travelling too. Ever since Stephen was stoned in Jerusalem the believers have been on the move because Jerusalem was no longer safe. Note that wherever they went they shared the truth about Jesus but only with the Jews. However there was one exception. Some of the believers who left Jerusalem had some "impure" blood. They were Hellenists which is another term for Greeks. Because they were Greek Jews they shared their faith with their countrymen in Antioch. When news got back to Jerusalem Barnabas was sent to see what was going on. Notice that when he arrived and saw that God's grace was being poured out on both Jews and Greeks he encouraged them "for he was a good man, full of the Holy Spirit and faith". Peter needed a vision from God repeated three times followed by a live front row seat when God took the initiative and poured out His Spirit on the household and friends of Cornelius before he was willing to accept that from God's perspective "no man is common or unclean". In contrast Barnabas needed no such divine promptings "for he was a good man..."
What is the Bible trying to tell us? Some of us "get it" more quickly and more easily than others. However God doesn't give up on those of us with "harder" heads. Prejudice is messy and complicated often with deep and tangled roots. How God kills those roots and tears down the walls that divide us is not nearly as important as the truth that He can. Whether we are stubborn like Peter or more flexible like Barnabas, God can reach us all. As the events of the past week continue to weigh on me I am thankful for God's word. I am thankful for hope. I am thankful I serve a healing God. I am thankful to know a God who can turn men like Saul around completely and change racist hearts like Peter had, and find men like Barnabas and Martin Luther King who just "get it" and can use them to bring peace where trouble could have flourished. Martin Luther King died in the struggle to unite the hearts of black and white America. I am praying God will find more men like him. I am praying that somewhere in America there is a mighty Barnabas, a good man, full of the Holy Spirit and faith who will rise up and give reconciliation a fighting chance. If anyone can find a healing ointment for the current situation it is our God for He reads every heart and sees every sparrow that falls. Alton Sterling was precious to Him and so was Philando Castile. His hand is over their families as well as the family of every officer who was senselessly shot in Dallas. May the truth of the humble carpenter from Nazareth take hold of them and of us and bring hope where there is hate and healing to our broken hearts. Acts Day 130 - Dusty Old Book? This creates such a mix of emotions. The most unexpected one was humour. The most gratifying was harmony. Humour because when Peter was essentially attacked for going to "them" he pretty much said "I didn't do it, God did it!" Harmony because their anger and prejudice was turned to acceptance and praise. First Peter humbly followed God’s lead and now back home in territory hostile to the Gentiles the believers also humbly follow His lead. Many today feel the Bible is outdated and irrelevant. How untrue. The events of the past few days in the United States would all be quickly solved if we would submit to God's heart like Peter and those in Jerusalem did. I can assure the hatred of the Jews against Gentiles was not less than the racism in the United States. It was worse. Much worse. Yet when God showed them the error of their ways they humbly submitted to Him. It was nothing short of miraculous, a miracle far greater and far more needed than healing leprosy or other diseases. If any part of the human body is diseased it is our heads and hearts. We hold ideas in our minds and hatred and prejudice in our hearts that is like poison. I understand the desire to protest injustice. I sympathize with the feelings to exact revenge. Yet if history has taught us anything it is that responding in like manner to evil only creates more evil. Until we submit to the truth that God has created from one blood all the peoples of the earth things will never change. Until all people regardless of gender or heritage or colour or nationality or sexual expression etc... are seen as and treated as equal the events of these past weeks will continue to intensify all over the globe. The Bible is relevant. God has the answers. Truth is the antidote. If hard hearted Jews raised and immersed in generations of bigotry and prejudiced could come under the heart changing influence of God so can we. The miracle can be ours as well. It begins with me. It begins with you. It begins on our street. It begins in our neighbourhood. Pray for your police officers. Pray for the marginalized. Smile at "them". Buy them a drink. Hug someone. Love conquers fear. It tears down walls. It creates friends where once there were enemies. Give God glory for creating us so different yet exactly the same. One blood. Love Wins. 10:44 While Peter was still speaking these words, the Holy Spirit fell upon all those who heard the word. 45 And those of the circumcision who believed were astonished, as many as came with Peter, because the gift of the Holy Spirit had been poured out on the Gentiles also. 46 For they heard them speak with tongues and magnify God. Choices - we make them every day. Some are hard choices with huge consequences but most are small with seemingly smaller consequences. Some choices we think long about. Some are made almost as if we are on auto pilot. When God stepped in and gave His Spirit to Cornelius and his family and friends gathered in his home Peter had a choice. He could embrace and cooperate with what God was doing or resist. His response is interesting. "Can anyone forbid water that they should not be baptized...?" Peter is not stupid. He knows many will struggle with what is happening. However is response is seemingly "What choice do we have?" Yet Peter had a choice. He could have resisted and refused. When Stephen explained from the sacred texts of the Jews that Jesus was the Messiah it was as obvious as when God's Spirit was given in Caesarea that day. However the reaction was opposite. They blocked their ears and ran at Stephen, dragged him from the city and killed him. It was much like when Cain fully understood he was in the wrong but rather than admit it or change he killed his faithful brother. Sometimes we say things like "I didn't have a choice" but that statement is never true. Choice is the one thing that no man can take from us and God never will. No matter how obviously wrong or right a choice is we still have the freedom to do otherwise. Both the Canadian and American national anthems declare freedom. However those freedoms are becoming less and there are many who want to reduce them further. Some want to force others to think as they think. These issues will increase and freedoms will continue to erode. Yet in the face of all these things our choice remains. Peter could have forbidden the waters of baptism or refused to participate. The Jews with him had the same choice. However Peter had a habit of surrendering his choices to the will of God. He could have refused to go to Caesarea but he didn't. He could have refused to go to Joppa but he didn't. He could have refused to listen to the message from God given in the vision that no man is common or unclean. He could have refused to share the message. Every day we make choices. The ones I make today will shape how I respond to other choices tomorrow. I didn't want to break up the last part of the story. Yesterday we ended with Peter asking Cornelius why he sent for him and with him answering that God wanted them to hear what Peter had to say. Peter opens with the declaration that with God there is no partiality and that people from any and every nation who serve Him are accepted by Him. He then presents Jesus to them as the slain and risen Messiah. As he is preaching the Spirit of God that fell on the disciples at Pentecost falls on the entire gathering in the home of a Roman centurion in Caesarea. The watching Jews who came with Peter from Joppa are in shock. Peter exclaims "Can anyone forbid these from being baptized who have received the gift of the Holy Spirit just as we have?" Do you see what just happened? Do you see the bigger picture? God sent for Peter before Peter was even ready. God prepared him as the men from Cornelius' home were on the way! The message was just as much or more for Peter as it was for anyone else. The opening line of his sermon was a truth he was just beginning to grasp. The powerful manifestation of God's Spirit falling on these "heathen" was a message from God to His church. The message was crystal clear. "Open the doors. All the doors. Withhold nothing from anyone. All people are My people." One last interesting note. Everywhere in Acts and beyond the Spirit is given after baptism by water. This story is the only exception. Why? Because God took matters into His own hands. He did for these "foreigners" what His church would not have done. He dynamited a huge wall so dramatically that not one who was there could deny it. Equal means equal. Same means same. All means all. God is our Father - every nation, kindred, tongue, and people! Acts Day 123 - Why Miracles?